Febreze FABRIC Refresher/Odor Eliminator,Allergen Reducer,Clean Splash,27oz . Doesn't just mask odors, it cleans away odors from fabrics that you wish you could wash with OdorClear Technology, leaving your fabrics with a light, fresh scent. The fine mist works deep in fabrics, cleaning them of common odors such as pet smells, smoke, and body odors, helping to freshen the entire room. Perfect to use weekly on soft surfaces including furniture upholstery and rugs/carpets or simply to give clothing a needed refresh. Add to your regular cleaning routine. 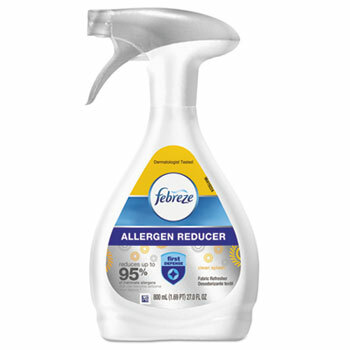 With Febreze FABRIC, uplifting freshness is simply a spray away.